Bergdorf Goodman is a venerable department store which is a century-old institution in New York. Sitting at the northern tip of Midtown adjacent to the equally famous Plaza Hotel, it's mens and ladies sections are in separate buildings on the opposite sides of Fifth Avenue. And on the top floor of the ladies section, is the regular lunch destination of many of New York's Chanel-wearing, Birkin-carrying ladies of leisure. 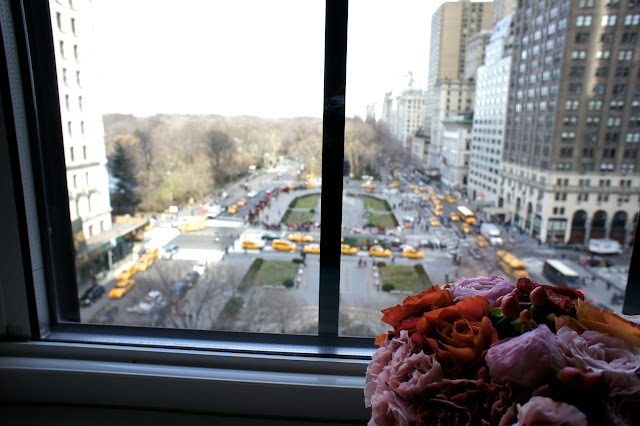 The salon is a long and brightly lit room with magnificent views over the south-eastern corner of Central Park, the entrance of Plaza Hotel and the Pulitzer Fountain. 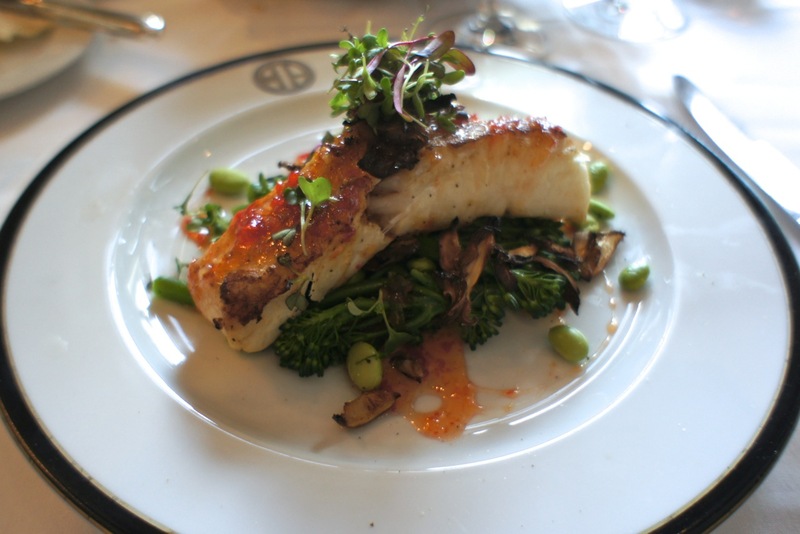 After a morning's shopping excursions in luxurious settings of the Bergdorf department store, we decided to see if the food at the BG restaurant could match up with the quality of its clientele. As expected, the diners during that midday Wednesday were mostly well-heeled and immaculately coiffed women (who clearly don't have to work for a living), to the extent that it can be intimidating being in the same room as them if you are not cut from the same cloth. However, as it has been our experience in New York, people here generally left us alone and the waiters were very friendly and professional despite an oddball tourist couple like us in jeans and t-shirt and sticking out like a sore thumb in such a luxurious setting. The lunch menu was a short selection of classics and they had a pretty good selection of wines by the glass. Lobster bisque - maine lobster, tomato, micro greens: This was unbelievable. 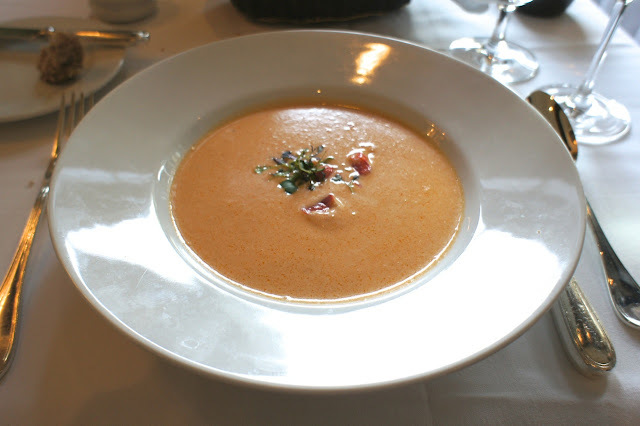 I thought that the chef used less cream than usual and replaced it instead with tomato to give the soup the body, and it worked very well, giving the soup a sweeter taste and a less heavy texture. 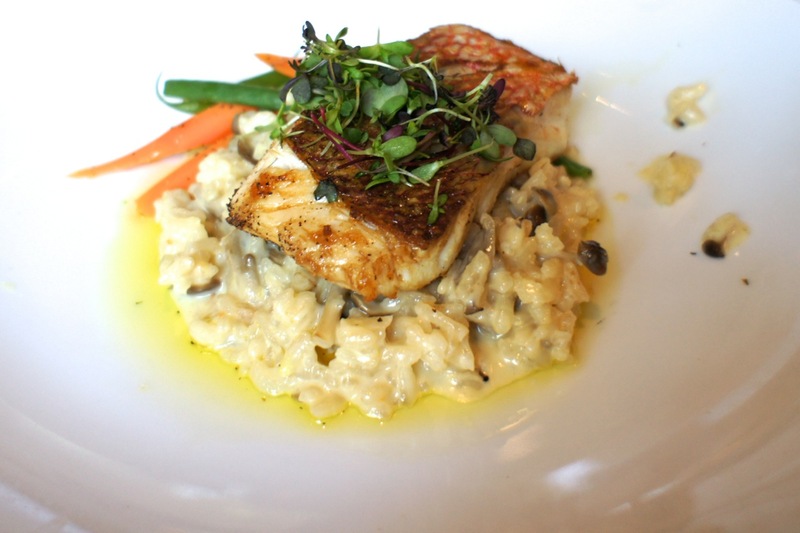 Red snapper with mushroom risotto: A very well-grilled fish which was very good. Sweet chili-glazed halibut - shiitake mushrooms, endamame, broccolini: The sweet chili sauce was essentially a thai sweet sauce and the endamame in particular was a good addition as it gave the dish a slightly nutty flavour in addition to the sweet, sour and spicy taste of the halibut and its sauce. 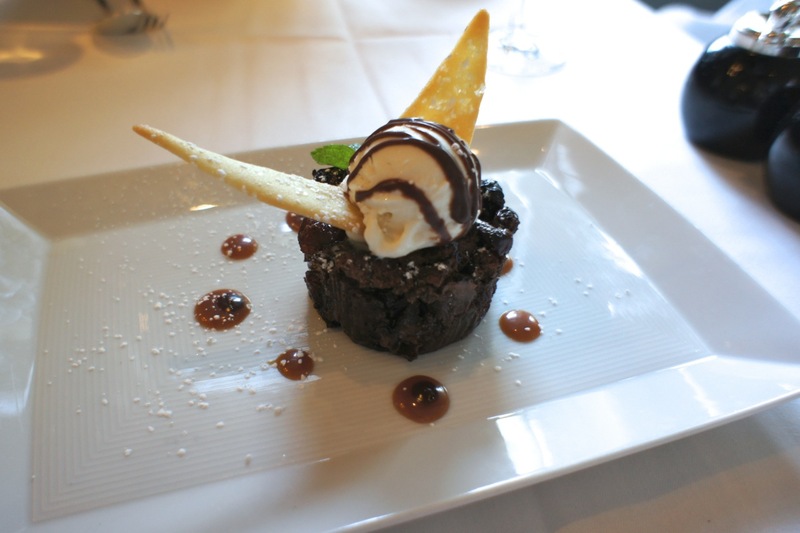 Dark chocolate bread pudding - dried cherries, salted caramel drizzle: A decadent and equally delicious chocolate dessert. Final Thoughts: Undoubtedly, food here was not cheap, but was of high quality and we enjoyed the views and the opportunity to people-watch amidst New York's high society.